Is your business getting lost in cyberspace? Do you need help getting more visibility and widening your market reach? This blog can help you understand how we can help you market your business! 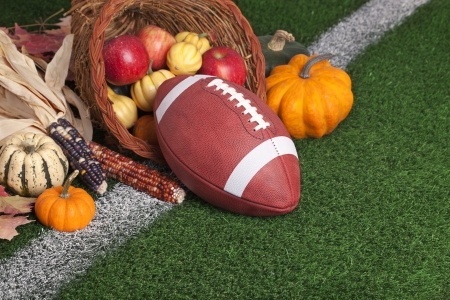 Turkey, Mashed Potatoes and Football – These things are all part of how we celebrate the Thanksgiving holiday but why? Thanksgiving shouldn’t just be about stuffing our faces until we pass out on the sofa – it should be celebrated with friends and family who we know will be there for us if there’s ever a zombie apocalypse! Happy Thanksgiving from the Linen Finder Team! The costumes and trick-or-treaters are only a part of the reason we love Halloween! Halloween allows even the most uptight folks to let loose and display their creativity. Save your business today! Many business owners are never fully aware of the extent of the troubles their businesses are in until things are out of control and they are at the brink of losing the business altogether. While for the even more unfortunate ones, they have absolutely no idea what caused their troubles. So in the name of today’s International Get Out of the Dog house Day here are the top 10 reasons why businesses fail. It’s that time of the year again when we all go out and celebrate the great American independence and remember the heroes that made it happen. But of course, no 4th celebration is ever going to be complete without food. You can have all the fireworks and all the booze in the world but it won’t be a happy 4th beloved eats like hotdogs and burgers and NY style pizza and barbecue.